RUGBY LEAGUE: The Queensland Rugby League will again ramp up its well-being and education programs as player welfare in the Intrust Super Cup continues to be put under strain. A number of ISC players have told the Daily the pressure of playing semi-professional football, while holding down a full-time job and trying to raise a family, can take its toll on their health and mental state. Sunshine Coast Falcons CEO and ex-NRL player Chris Flannery said welfare issues were dealt with on a "monthly basis” at the club, and that it was the same at any football club. Flannery said ISC players "did it tougher” than their full-time NRL counterparts. Which is why 25 of the Falcons playing and coaching squad will head to the University of Queensland this weekend for the annual ISC Semi-Pro Day, to learn "everyday life skills” and "specific professional development tools”. "The ISC is a huge competition for these players who are basically working all day then train with teams at night,” Flannery said. "They're often playing against professional players who train full-time every day and that's their main occupation. I've obviously been in that professional environment and witnessed what these guys go through. As the NRL prepares to ditch the National Youth Competition in favour of boosting the state leagues in Queensland and New South Wales, Flannery hopes state level players will be rewarded. "We're really hanging out for the NRL funding model which is supposed to be handed down early next year,” he said. Other topics to be covered include mental health, cultural awareness, resilience and drugs and alcohol. The players will also take part in Theatre Sports, an engaging program that places players in real-life scenarios. 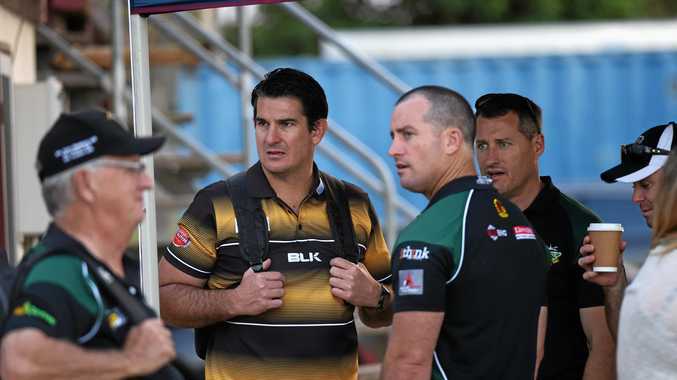 Semi-Pro Day presenters include National Drug Awareness founder Tony Parsons, Wests Tigers Community Manager Shaun Spence, former NRL player Paul Whatuira and Indigenous consultant John Briggs.